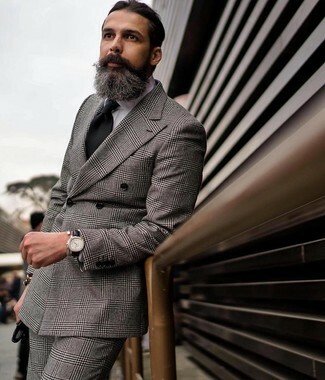 Consider wearing a Z Zegna printed fit jacket and grey dress pants to ooze class and sophistication. 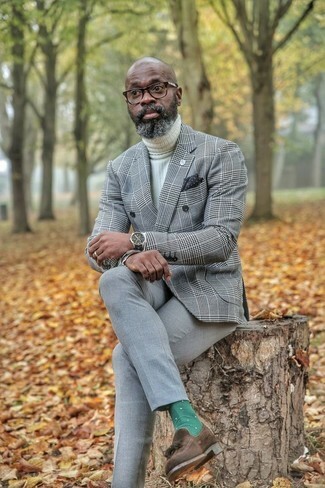 For something more on the daring side to finish off this getup, grab a pair of grey leather chelsea boots. 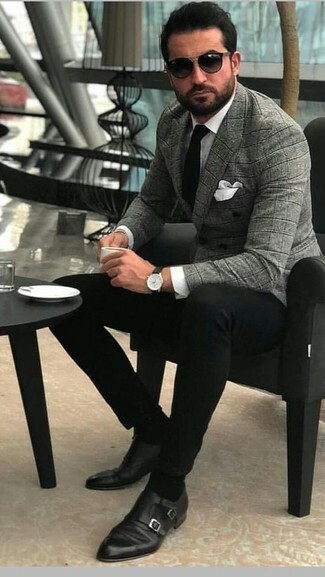 Consider pairing a grey plaid double breasted blazer with black dress pants for a classic and refined silhouette. 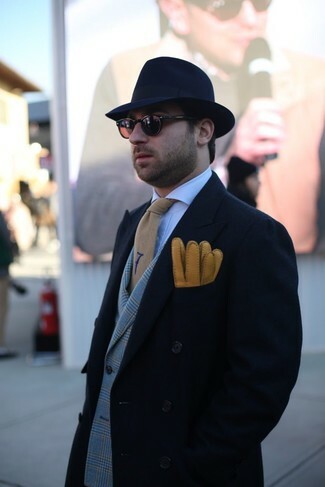 For something more on the daring side to complement this outfit, rock a pair of black suede loafers. 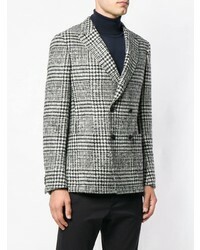 A Z Zegna printed fit jacket from farfetch.com and grey plaid dress pants is a greatcombo for you to try. 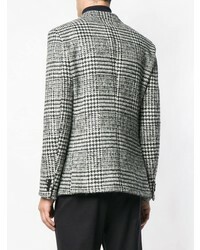 A Z Zegna printed fit jacket and grey plaid dress pants is a greatcombo for you to try. 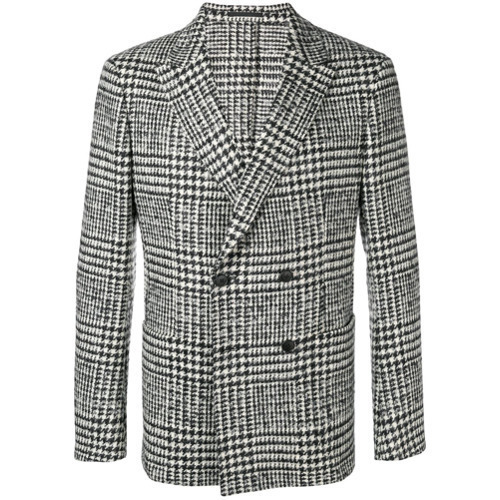 For a nothing less than incredibly stylish getup, try teaming a Z Zegna printed fit jacket with grey plaid dress pants. For a casually elegant look, dress in a Z Zegna printed fit jacket and grey chinos — these two items fit nicely together. 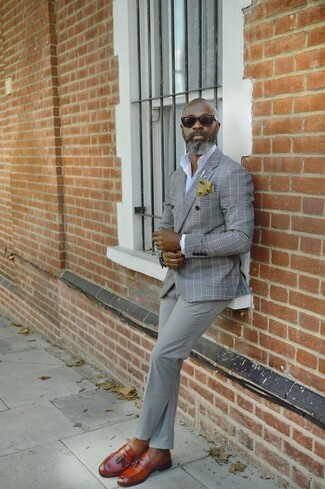 When it comes to footwear, this ensemble is complemented perfectly with tobacco leather tassel loafers. 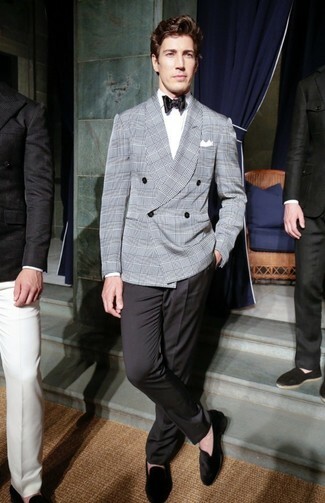 Choose a Z Zegna printed fit jacket and grey dress pants for incredibly stylish attire. Make your ensemble more fun by completing it with dark brown suede tassel loafers. 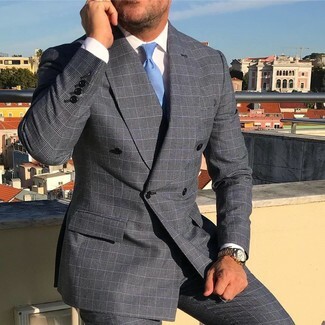 This combination of a Z Zegna grey plaid double breasted blazer and black chinos is super easy to throw together in seconds time, helping you look amazing and ready for anything without spending too much time digging through your arsenal. Got bored with this outfit? Enter black leather double monks to switch things up. 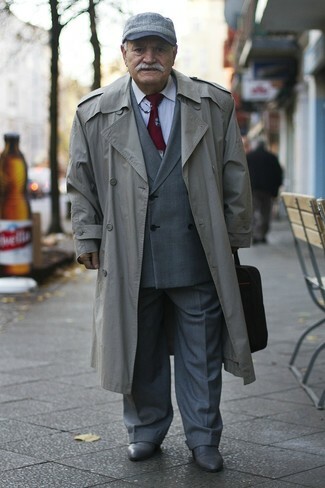 Consider wearing a Z Zegna printed fit jacket and a black overcoat like a true gent.